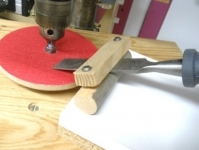 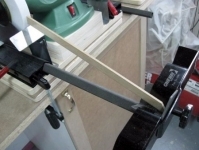 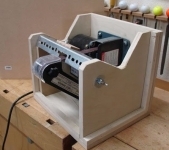 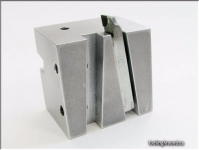 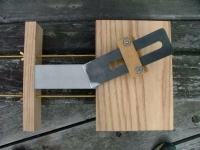 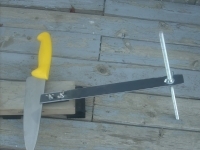 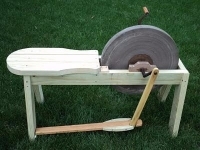 Homemade bevel sharpening jig for short chisel blades. 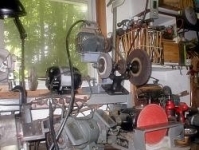 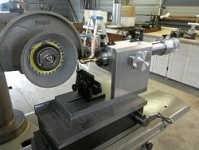 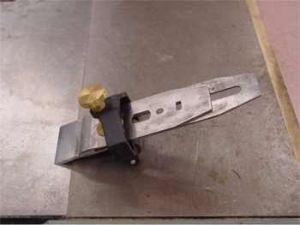 Blade to be sharpened is clamped between a chipbreaker and a surplus blade. 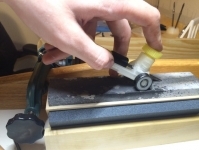 Entire setup is then secured in a Lee Valley jig. 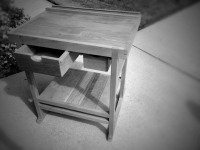 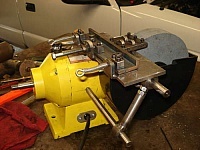 There's an idea, though the use of a commercial jig makes it not as easy to build as others I've seen.